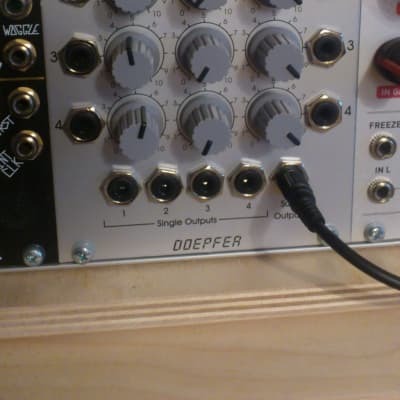 Quad Linear VCA/Voltage Controlled Mixer. 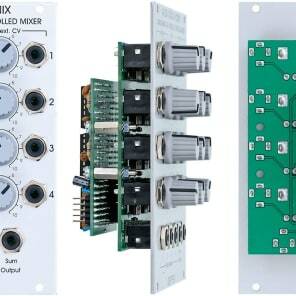 Module A-135 is a quad voltage controlled mixer. 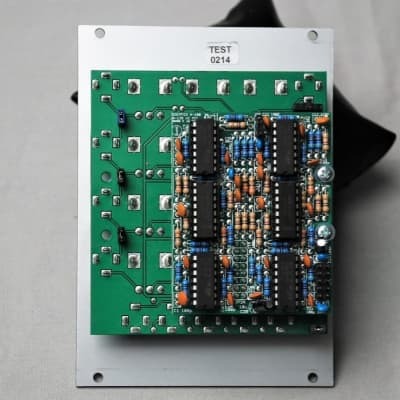 It is made of 4 independent linear VCAs. The VCA outputs are mixed to a common output. 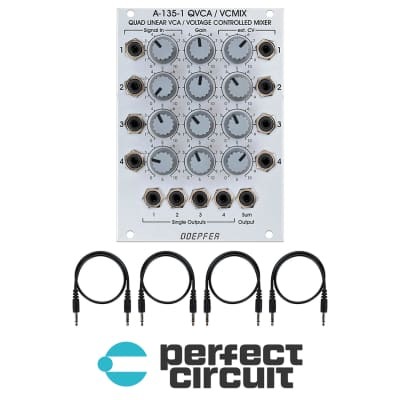 For each VCA the following inputs and controls are available: audio input with attenuator, control voltage input with attenuator, gain (preamplification). Applications: voltage controlled mixing of up to 4 signals with separate control voltages (e.g. 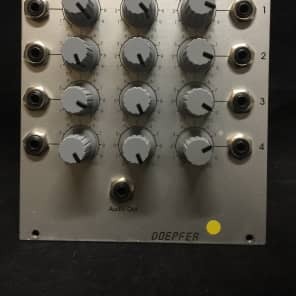 delivered by LFO's, ADSR's, Random, Shepard generator, MIDI-to-CV interface or other control voltage sources). In connection with the Morphing-Controller A-144 the soft fade-over of 4 signals with only one control voltage is possible. the mode of the sum output can be chosen between "All" and "Selection" by means of a jumper. In "all" mode all four VCAs are mixed together. In "selection" mode a VCA is removed from the sum signal when a plug is inserted into the corresponding single output. It's not possible to add the All/Selection feature to the first version of the A-135-1 module. But it's possible to add the normalling of the signal and CV sockets. if your A-135-1 is version 3 can be identified by the additional jumpers shown in this document. The two versions can be distinguished also by the pcb printing on the smaller board (BOARD A): "V2 2013" for version 2 and "V3 2014" for version 3.